HERMOSA BEACH CITY ELEMENTARY SCHOOL DISTRICT. On February 27, 28, 29, and March 1, 12, 13, 14, and 15, 2012, Judith L. Pasewark, Administrative Law Judge (ALJ) from the Office of Administrative Hearings, Special Education Division (OAH), presided at the due process hearing in this case. At the hearing, Valerie J. Gilpeer, Esq., and Erik Menyuk, Esq. of Newman, Aaronson and Vanaman represented Parents on behalf of Student (Student). Both parents (Mother and Mother 2, or collectively Parents) attended the hearing on behalf of Student. Student did not appear at the hearing. Diane M. Willis, Esq. of Sansom, Willis and LaFoe, represented the Hermosa Beach City Elementary School District (District). Jennifer Camacho attended the hearing on behalf of the District. On August 25, 2011, Student filed a Request for Due Process Hearing (Complaint). OAH continued the matter on September 16, 2011, and again on December 12, 2011. The hearing took place on February 27, 28, 29, 2012, and March 1, 12, 13, 14, 15, 2012, at Hermosa Valley Elementary School in Hermosa Beach, California. At the request of the parties, written closing briefs were submitted and the record closed at close of business on April 9, 2012. Student’s brief is marked Student’s Exhibit 96. The District’s brief is marked District’s Exhibit 70. With the exception of Student’s Exhibit 95, which was withdrawn, the parties stipulated to move all other exhibits into the record. Did the District deny Student a free appropriate public education (FAPE) for the 2009-2010 school year by failing to develop for implementation an individualized educational program (IEP) which addressed Student’s unique needs in the areas of adaptive skills, attention, behavior, expressive language, frustration/stress tolerance, interactions with adults and peers, organization, receptive language, social language and social skills? Did the District deny Student a FAPE for the 2010-2011 school year by failing to develop for implementation an IEP which addressed Student’s unique needs in the areas of adaptive skills, attention, behavior, expressive language, frustration/stress tolerance, interactions with adults and peers, organization, receptive language, social language and social skills? Did the District deny Student a FAPE for the 2011-2012 school year by failing to develop for implementation an IEP which addressed Student’s unique needs in the areas of adaptive skills, attention, behavior, expressive language, frustration/stress tolerance, interactions with adults and peers, organization, receptive language, social language and social skills? In the event the District has failed to provide Student with a FAPE, then Student is requesting reimbursement for private school tuition, transportation, and behavior intervention therapy (ABA) for the 2009-2010 school year; reimbursement for private school tuition, transportation and ABA for the 2010-2011 school year; and prospective placement reimbursement for private school tuition, transportation and ABA for the 2011-2012 school year. 1 On February 15, 2012, OAH held a telephonic Pre-Hearing Conference (PHC) with the parties. ALJ Carla Garrett issued the PHC Order which determined the issues as are stated in this decision. On February 17, 2012, Student filed a written objection to the issues as stated in the PHC Order and requested that the Issues be restated as listed in Student’s complaint. On February 27, 2012, on the record and prior to the commencement of the hearing, the hearing ALJ overruled Student’s objection on the following grounds: (1) The objection was not timely as a Notice of Insufficiency Order, issued September 15, 2011, restated the issues as contained in this decision, and Student neither filed a motion for reconsideration nor amended the complaint at that time; and (2) Student’s objection constitutes a motion for reconsideration of the PHC Order and failed to comply with the PHC Order regarding motions, and contained neither a sworn declaration or transcript of the PHC conference. There is relatively little factual disagreement between the parties in describing Student and his unique needs. Parents contend Student is a cognitively gifted child who has been diagnosed with high-functioning Asperger’s Syndrome (Asperger’s) and Attention Deficit Hyperactivity Disorder (ADHD), making Student what is often referred to as a “twice exceptional” child. For all intents and purposes in this hearing, the District concurs with this description of Student, and, at all relevant times herein, Student has been eligible for special education and services under the categories of autism, based upon his Asperger’s, and other health impaired (OHI) based upon his ADHD. Parents contend that District has been unable to provide Student with a placement which satisfies his advanced academic needs as well as addresses his unique disabilities. As a result, Parents have placed Student in Bridges Academy, a private school, which caters to twice exceptional children. The District, on the other hand, contends each IEP has continuously offered Student a FAPE in the least restrictive environment (LRE), by offering Student placement in the general education classroom with DIS supports. As will be discussed below, having met all legal requirements for providing Student a FAPE in the LRE, the District is required to do no more. 1. Student is a 12-year-old boy who resides with his parents within the District. Student is described as extremely bright and artistic. He has a rage to learn and a great intellectual curiosity, especially about science and nature. By all accounts, he is a talented artist. Prior to the 2008-2009 school year, Student attended the Chadwick School (Chadwick), for kindergarten through third grade. Chadwick is a private school with a regular education curriculum, small classes, and a small student population. It is noted that Student’s October birthday allowed Parents to wait an extra year for Student to start kindergarten at age five and one-half years. 2. Student exhibited relatively few problems in kindergarten. Beginning in the first grade, however, Student developed behavioral issues, exhibited no insight, and complained that he didn’t like school. At that point, Parents began their long journey of seeking information and assistance from a series of well-respected psychiatrists, psychologists, and other behavior specialists. While Student’s Asperger’s was not yet identified, Student was diagnosed with ADHD. Parents, along with the staff at Chadwick, initiated a behavior modification plan, stressing a reward system, and structured Student’s day with lots of activities. Student also began the first of a series of medications for ADHD, many of which did not prove successful. Student’s second grade year was difficult. Student’s medications were not working. Mother observed Student had no clue about personal space, and failed to make friends. He had difficulty with self-regulation. Student would have melt-downs and could not get himself back together. During second grade, the staff at Chadwick discussed possibly having Student skip the third grade and go directly to fourth grade. Student attended the fourth grade summer school program, which was deemed a failure, as Student was too immature to compete and socialize with older children. In third grade, Student’s ADHD medications finally kicked in. Student received behavior modification, and attended privately funded social skills classes. Parents also provided Student with educational therapy twice a week to teach Student how to do school. Student’s teacher at Chadwick worked hard with Student, providing prompts and keeping him organized. 3. Towards the end of the third grade, the Chadwick staff held a meeting with Parents. Mother reported that, although Chadwick would allow Student to return for fourth grade, it was not recommended. The Chadwick staff indicated that they had done every thing possible for Student and had exhausted their resources, yet their program was not working for him. Parents agreed, and removed Student from Chadwick at the end of the third grade. Seeking other alternatives, Parents enrolled Student at a Montessori summer school program, which also failed to help Student. As a result, Parents considered enrolling Student in the public school system for the 2008-2009 school year, and requested that the District assess Student for special education eligibility, placement and services. 4. The District held Student’s initial IEP meeting on June 11, 2008, and found Student eligible for special education and services under a primary eligibility of autism based upon Student’s Asperger’s, with a secondary eligibility of OHI due to Student’s ADHD. The IEP team offered placement in a regular classroom with an paraeductional aide. Eight goals were supported by pull-out specialized academic instruction (SAI), individual counseling, group social skills, and group speech and language. A behavior support plan (BSP) was developed to address Student’s work habits and executive skills. The IEP also contained numerous accommodations designed to support Student, such as fidgets, prompting and repeating directions, and testing accommodations. Parents consented to this IEP for the 2008-2009 school year, and Student attended Hermosa Valley Elementary School (Hermosa Valley) during his fourth grade year. 6. Student is no stranger to assessments. While Student attended Chadwick, Dr. Susan D. McNary, a licensed clinical psychologist, conducted an extensive psychological evaluation of Student over the period of May 30-July 30, 2007. Dr. McNary’s written report, which is undated, is thorough and uncompromised. Dr. McNary testified as a qualified psychologist and she presented a good foundational base for understanding Student and his unique needs. Dr. McNary described Student as a child who had difficulties at school, in that he could do the work, but would lose attention and become frustrated. Student presented with erratic behaviors, misperceptions, difficulties with peer interaction and symptoms of ADHD. Dr. McNary’s testing indicated Student exhibited very superior verbal comprehension, and visual perceptual reasoning. His expressive vocabulary was off the charts. His verbal skills, however, were limited by his difficulties with generalizing and applying what he knew in real life. Student scored in the average range in working memory, and processing speed. Student’s average scores were considered lower than expected by comparison to his cognitive abilities. Dr. McNary suggested these average scores were potentially indicative of a relative weakness, as Student struggled very significantly with symptoms of ADHD in the form of weak frustration and stress tolerance, erratic attention to detail, weak listening, erratic feedback system, erratic focus, difficulty with transitions, weak organization, and significant problems sustaining effort. As a result, Student has a great capacity for learning and possesses a great depth of learning; however, his neurological/ ADHD glitches get in the way of his maximum success. Dr. McNary also suspected Student might be on the Autism Disorder Spectrum, based upon Student’s oppositional behaviors, immaturity, and social/emotional deficits; however, she did not draw that conclusion at this time. Further, although Dr. McNary’s written report would be provided to the District in 2009, the evaluation and recommendations were not directed to a public school placement. Instead, Dr. McNary anticipated Student would remain at Chadwick, and recommended that Parents continue to provide significant high end private supports from numerous psychologists, therapists and learning specialists, which Parents did indeed engage. 7. At Dr. McNary’s prompting, Parents obtained a neuropsychological evaluation from Dr. Lisa Waldman, a neuropsychologist who assessed Student in 2008. Dr. Waldman’s findings were similar to those of Dr. McNary. While Student presented as a bright boy with many strengths, he also presented with specific neurocognitive weaknesses in many areas including: adaptive skills (communication, self-direction, social, school functioning), impulsivity, cognitive flexibility, inhibitory control, shifting sets, working memory, short-term and long-term memory for complex materials and stories, memory for faces, conceptual reasoning and unstructured tasks. While many of Student’s scores in these areas were in the average range, Dr. Waldman agreed with Dr. McNary, finding the average scores significantly lower that Student’s intelligence, academic and other neurocognitive skills. Dr. Waldman also confirmed Dr. McNary’s suspicions regarding Asperger’s. Dr. Waldman found that Student’s presentations of social skills deficits, restricted interests, cognitive and behavioral rigidity and emotional and behavioral regulation difficulties were consistent with a diagnosis of Asperger’s. She stressed it should be highlighted that Student was on the higher functioning end of the autism spectrum, and showed higher levels of insight, abstract thinking and eye contact in some situations than many others with the same diagnosis. Dr. Waldman also confirmed Student’s diagnosis of ADHD. It is again noted Student was attending Chadwick school at the time of evaluation, and as stated in her testimony, Dr. Waldman indicated her recommendations were based upon the ideal or perfect program for Student, and she was not certain that such a program existed. Further, the recommendations were intended to provide Student with guidance in order to realize his potential and apply his talents in the academic setting. 8. On March 26, 2008, Parents requested the District conduct a comprehensive assessment to determine eligibility for special education services. Parents provided the District with copies of both Dr. McNary’s and Dr. Waldman’s prior evaluation reports, along with a follow-up letter to the District which provided a synopsis of both evaluations and recommendations. In lieu of another formal assessment, the District compiled a Review and Summary of Records, as Student had previously been thoroughly assessed by both Dr. McNary and Dr. Waldman. Diane Bowlby, a District employee, compiled the assessment report, dated June 11, 2008. Ms. Bowlby did not testify at the hearing; however, the parties stipulated to admit her report into evidence, and neither party contested the findings of her report. The District’s report acknowledges Mother’s contention that Student had been identified as gifted and had been given diagnoses of ADHD and Asperger’s. She indicated Student had been receiving multi-modal treatment for the previous two years, including medication, behavior modification; appropriate classroom accommodations, cognitive and educational therapy, as well as organizational and social skills training. Mother pointed out, despite these interventions, Student was not keeping pace with his peers. With regard to written expression, Student has creative ideas and good conceptual understanding when he is engaged and interested. Writing is very difficult for Student, and he has difficulty sustaining attention, using margins, and editing his work. He makes careless mechanical errors and often has a negative attitude towards improving the quality of his work. With regard to language, Student often presents as overly confident and very sure he is correct. He does not like to be challenged. Student is very articulate and enjoys sharing information. Student understands and retains more than his body language indicates. 10. Given that Dr. McNary had administered a psychoeducational assessment to Student in May 2007, and Dr. Waldman had administered a neuropsychological assessment to Student in February 2008, the District adopted those assessments as well. 11. Elizabeth Stiles-Beirne, a District speech and language pathologist (SLP) conducted a Language and Speech (LAS) assessment of Student and prepared a written report dated June 10, 2008. 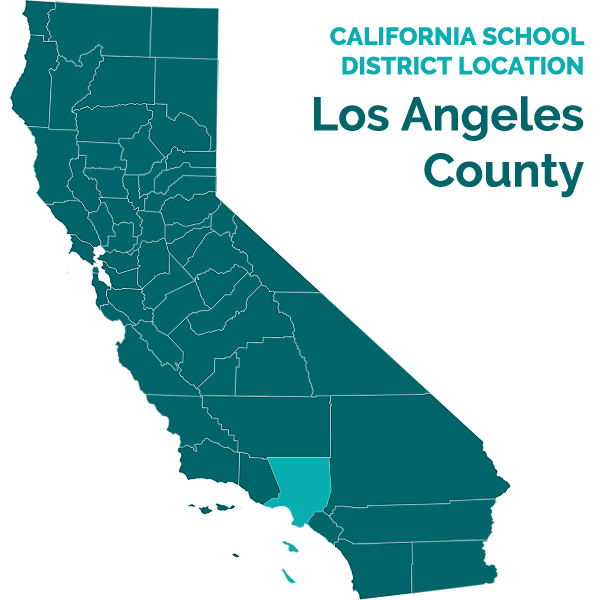 Ms. Stiles-Beirne, who is employed by the Los Angeles County Office of Education, is a licensed SLP, and is assigned full-time to the District. The assessment was comprehensive, and contained observations, standardized assessments, and ratings scales completed by Parents, Student’s teacher, and Student’s tutor. Student did not challenge this assessment report. Ms. Stiles-Beirne concluded that Student’s articulation was in normal limits. His overall language functioning skills were within the average to above average range for his age; however, his scores on tests involving social, abstract, and figurative language were misleading. His ability to apply his knowledge of acceptable social skills in the real world was limited. Further, Student exhibited difficulty with social interaction and pragmatic language skills across settings, and demonstrated rigid thinking and difficulty interpreting language in school and at home. Student misinterpreted social situations, had difficulty determining the most appropriate response, and was frequently unable to change his language or response according to the needs of a listener or situation. As a result, Ms. Stiles-Beirne recommended, due to his pragmatic language deficits, Student would benefit from social skills support. 12. During the 2008-2008 school year, the District also assessed Student in the area of occupational therapy (OT) to rule out any suspected disabilities in relation to his sensory systems. An addendum IEP meeting was held on October 14, 2008, to discuss the OT assessment, in which Student did not qualify for OT services. 13. Based upon the above information, the District held Student’s initial IEP meeting on June 11, 2008, and determined Student was eligible for special education and related services under the categories of autism and OHI based upon his ADHD. The IEP team, including Parents and their advocate, concluded that Student’s unique needs affected his involvement in the general education curriculum due to difficulties with social skills, organization, and time management issues. Student’s behaviors impeded his learning due to his difficulty beginning tasks, transitioning from task to task, and maintaining attention to task. The IEP created in this meeting provided Student with placement in the regular fourth grade classroom, with goals, DIS services and accommodations. Parents consented to this IEP, and Student attended Hermosa Valley for the 2008-2009 school year. 14. The parties spent an extraordinary amount of time dissecting the June 9, 2009 IEP, in spite of the fact it had been both drafted and approved by Parents prior to the statute of limitations which commenced August 25, 2009. Relevant facts regarding this IEP have been included to describe the IEP in effect at the time of Student’s unilateral placement at Bridges, and to recount parental frustrations and concerns for the 2009-2010 school year. 15. The District held an IEP meeting on June 9, 2009, to prepare Student’s IEP for the 2009-2010 school year. All statutorily required parties attended the IEP meeting. Parents attended along with their advocate, and were provided a copy of their Parental Rights. The IEP team relied on the prior assessments of Dr. McNary and Dr. Waldman, along with input from Parents, Student’s fourth grade teacher, and other DIS providers to determine Student’s unique needs and present levels of performance (PLOP). Ms. Stiles-Beirne discussed her short written update of her observations of Student and his progress on his LAS goals. Student had made progress in his small group LAS sessions. Student met his goal on social thinking; however, he only partially met his pragmatic language goal. Basically, he had continued to improve in peer settings, and could, in theory, identify signals and social cues; however, in practice, he still had difficulty generalizing theory to “real time” or “real life” situations. Ms Stiles-Beirne acknowledged a continuing weakness with pragmatic language, and recommended continuing LAS goals and services directed towards unwritten social rules and application of those rules during “real time.” Further, upon observing Student in his classroom, Ms. Stiles-Beirne noted that Student worked in groups in the classroom, took part in classroom discussions, and could be easily redirected when needed. As a result, she reported that Student no longer needed a paraprofessional aide in the classroom. Christy Cole, a school counselor, employed by the Southwest Special Education Local Education Plan (SELPA), provided Student’s counseling during the fourth grade. Ms. Cole confirmed that Student’s counseling sessions got off to a rocky start, and were subsequently amended to eliminate individual sessions in favor of group sessions only. Ms. Cole reported Student had been successful in making friends and maintaining relationships. Student had learned to use his own skills and abilities as an asset when interfacing with peers; however, he continued to have difficulty with social awareness, and his behavior was often misinterpreted as disrespectful or rude. Ms. Cole prepared a social/emotional goal to address Student’s social awareness. 16. The IEP offered placement in the general education fifth grade classroom. The District offered SAI consultation in the regular classroom for 20 minutes per week; direct SAI consisting of individual RSP in the regular classroom for 30 minutes per week to work on study skills; group LAS instruction for 30 minutes, three times per month; OT consultation for 20 minutes per month to address Student’s need for fidgets2 or other stimuli; and pull-out counseling and guidance for 30 minutes per week. The IEP team also drafted four goals. An organization goal was drafted to work on Student’s self management and efficiency with organization. A study skills goal was drafted to assist Student in independently maintaining a calendar, prioritizing tasks, developing strategies, and seeking help to turn in completed assignments on time. A social/emotional goal was drafted to assist Student with social awareness. A LAS goal was drafted to address Student’s difficulties with pragmatics. A considerable number of accommodations were created to support Student with behavior, stress tolerance, organization, homework, and other areas of executive functioning. 2 A fidget is a physical stimulus, such as folding paper, or manipulating a coin, which provides sensory comfort to an individual. 17. Throughout the 2008-2009 school year and at the June 9, 2009 IEP meeting, Parents voiced significant concerns about the implementation of the 2008-2009 IEP. Clearly, Student’s teacher, Ms. Stipple, limited her communication with all parents. Further, all parents were required to make appointments to come to school. Mother described this inability to communicate with Ms. Stipple as a nightmare for a parent with an ADHD student.3 Additionally, Student’s grades were not promptly posted, making it difficult for Parents to address Student’s incomplete assignments and homework resulting from Student’s deficits in with organization and executive functioning. Further, Mother had to request that Student’s accommodations be enforced. Student’s teacher did not allow some of Student’s accommodations, and did not follow through with others. Mother expressed considerable concern that there was no positive behavior plan for Student because his BSP was never put into play. As stated by Mother, the idea that Student should suffer the natural consequences for his deficits in working memory and executive functioning seemed to ignore the reality of his neurobiological disorder and the whole reason he had an IEP and a paraprofessional in the first place. 18. Mother’s concerns appear well based. Ms. Sipple’s contributions to the IEP meeting suggested accommodations were often ignored; Student’s organization management was not as successful as expected; and Student’s behaviors were negatively addressed, often by limiting Student’s ability to utilize fidgets. Although Ms. Sipple’s testimony was painfully honest, she displayed little understanding of Student’s IEP, his need for accommodations or the need to actively communicate with Parents. As example, Ms. Sipple described Student as an articulate, bright, artistic, and engaging student who got along with peers, but would sometimes say things that irritated others; all in all, a typical fourth grader, with typical fourth grade organization skills. Admittedly, Ms. Stipple is not a special education teacher, and had never before taught an Asperger’s child. Nonetheless, her lack of understanding of the basics for a special education student was troubling. In testimony, Ms. Sipple neither understood what “implemented” meant, nor did she know whether Student met his behavior goal. She found Student’s pragmatic skills to be satisfactory. She reported that Student had strong language skills, but was not as strong in math. His grades were mostly A’s and B’s. While the District did not have a special program for gifted students, Ms. Sipple indicated that several pupils in Student’s class were as gifted, if not more so, than Student. Student finished the fourth grade school year with good grades and a good report card; however, Mother commented that she was uncertain if the grades represented what Student learned or what he already knew. 3 Ironically, Parents selected Ms. Sipple as Student’s fourth grade teacher. 19. At the June 9, 2009 IEP meeting, Parents also expressed Student’s frustration from the continual turn-over of District staff during 2008-2009. Mother noted multiple employee changes during the fourth grade had a negative psychological impact on Student and resulted in chaos and poor communication. There was no back up plan for aide absences and Student’s aide changed three times over the course of the school year. Student’s resource teacher (RSP) was also changed. At home, Student was clearly stressed and found school difficult. He was angry about the RSP pull-out, and angry about his class. By the end of the school year, Student began complaining of stress related health issues. As a result of his physical ailments, Student left school a week early for medical testing. 20. Mother indicated that she found Student’s PLOP as contained in the June 9, 2009 IEP, to be inaccurate, if not laughable. While Parent’s believed Student was better than he was in the third grade, they did not believe Student had advanced to a fourth grade level. Mother indicated both Parents consented to the IEP once several changes were made to the section of the IEP which reflected “Concerns of parent relevant to educational progress.” Of extreme importance to Parents was the discussion of Student having a friend in class with him in the fifth grade. Two specific children were suggested. Mother emphasized this was a huge issue for Student, as he had just begun to make friends and respond to positive peer role models. Based upon Mother’s detailed and trustworthy recollection of the IEP, it is clear that the IEP team understood the crucial nature of the request for a friend in the fifth grade class, and the District team members indicated that such placement should not be a problem. As indicated above, Parents consented to the June 9, 2009 IEP based upon what information was known at the time of the IEP’s creation. 21. Over the summer of 2009, Student attended a private summer camp for special education kids, participated in a lifeguard program with his two friends from school, attended an art class, and learned fencing. By the end of the summer, Student’s social skills had improved and he felt better about himself. 22. Only a few days before school resumed, Parents learned, in spite of their strenuous emphasis on the need to place Student in a class with at least one of his friends, the District had failed to do so. Student was devastated, and perseverated on the subject for weeks at home. This preventable and decidedly imprudent oversight on the District’s part, clearly tainted the new school year, and reinforced Parent’s previously frustrating relationship with the District. 23. The District placed Student in Rianne Albert’s fifth grade class. Ms. Albert has taught the fifth grade for three years. She is a credentialed general education teacher in both California and New Jersey, and holds a master’s degree in special education. In addition to her fifth grade class, Ms. Albert also teaches an after-school study skills class which focuses on organization strategies and study tips. Although Student only attended Ms. Albert’s class for a few months, the lines of communication between parent and teacher improved, and Mother also participated in Student’s class as a parent volunteer for their literature groups. Mother gave Ms. Albert an “A” for effort, and described Ms. Albert as a warm and kind teacher with good intentions. With 28 kids in the class, Mother was aware Student took up a lot of Ms. Albert’s time, and Ms. Albert tried to organize Student at the end of each day. More importantly, Student liked his teacher. Ms. Albert presented as an excellent witness. 24. Ms. Albert did not attend Student’s June 9, 2009 IEP meeting, nor did she have any input into his goals; however, she was aware of his IEP and areas of need. Ms. Albert implemented Student’s accommodations and provided Student with preferential seating, positive role models, and fidgets. She noted Student would interact with his desk mate and sometimes had difficulty respecting others’ space. Student was allowed to take breaks and was allowed to get up and move around, when needed. Ms. Albert also modified Student’s RSP pull-out, as Student did not like being singled out. Instead, 20 minutes per week of RSP services were provided in the classroom. Ms. Albert utilized positive behavior reinforcement for all students through the use of a classroom mini-economy and rewards system. She described a good communication system with all parents, which included emails, a monthly newsletter and individual behavior charts which went back and forth, from school to home. 25. Ms. Albert was clearly aware of Student’s unique needs. With Student, she targeted organization, neatness, compliance, completion of work, and remaining on task. She tracked Student daily and discussed Student’s behavior with him twice a day in order to determine his daily behavior grade. As time progressed Student would “catch on” and fewer discussions were needed regarding his behaviors. Ms. Albert also developed nonverbal cues with Student to redirect, check or correct him. 26. Ms. Albert described Student as creative, innovative and authentic. Academically, she found him to be in the top range of the class, but he was not the top student. Even though she knew he was bright, she noted that sometimes his work would not stand out from that of others. In the short time Ms. Albert had Student in class, she believed he was making progress in social areas. Student was able to work with a peer partner on a science project, and he was beginning to understand “give and take” cooperation. Further, Student did not need assistance or accommodations all the time or in all areas. 27. As the school year progressed into October 2009, Student’s behavior at home imploded. Student repeatedly told his parents he hated school; it was pure torture for him. As Student told Mother regarding his hatred for school, “you can no longer jolly me out of it.” At home, Student expressed he was bored. Student was alone, had no friends and was excluded by his peers, and he knew it. It became harder and harder to get him to go to school. Further, Student would meltdown, and “really lose it,” when he came home from school. Parents had engaged Student’s prior RSP teacher, Carol Beck, to work with Student after school on homework. By the end of October, as described by Mother, Ms. Beck “threw in the towel.” Mother fully acknowledged Parents were desperate. Student’s stress levels were so high, that he was again presenting with physical ailments such as chest and stomach pains; he was chewing his fingers until they bled. 28. At that time, Parents inquired about Bridges. When Student visited Bridges, he immediately began to beg Parents to let him go there, because he saw other kids just like him. In mid-October 2009, at Parents’ request, Ms. Albert filled out a Teacher Recommendation Form for Bridges, and provided her observations of Student’s strengths and weaknesses. Mother indicated the Bridges application was in consideration of enrollment for the sixth grade school year. As a result, Ms. Albert was surprised and upset when she learned that Student had been withdrawn from school on November 9, 2009. 29. Student’s final weeks at Hermosa Valley are best reported in the e-mails between Mother and Ms. Albert. On November 6, 2009, Mother e-mailed Ms. Albert regarding the culmination of Student’s apparent difficulties at school. Mother’s e-mail, and Ms. Albert’s November 9, 2009 e-mail response are particularly telling. Mother reported Student had been struggling again lately. He was not sleeping well, and had been complaining of frequent headaches and joint pains. Mother, an M.D., had not found any physical reasons for these problems, but noted Student was again complaining and commenting about difficulties in school, and disliking school in general. In particular, Student complained of his lack of friends and difficulty getting on with other kids. He seemed to be holding it together at school, but had frequent meltdowns and tears when he got home from school, with his brother, and over homework. Student’s homework had again gone from A’s to B’s and C’s, after recently showing all A’s. Mother observed that the quality of his work had regressed and Student claimed he was not interested because he was bored. Mother inquired if something specific had happened in the last month or if Student’s behavior was just a continuance of his ongoing social difficulties. Mother concluded by expressing concern his current placement might not be appropriate for him to meet his intellectual and social needs after working so hard to patch together a program for him. 30. Ms. Albert responded by e-mail on November 9, 2009. Ms. Albert felt Student would tell her if something was bothering him. Nothing specific was reported, and Ms. Albert was uncertain exactly what he was upset with. She noted that before P.E. on November 5, Student mentioned his knee would not bend right, and he was hesitant to join teams and was unsure whether or not he wanted to play football. Later, he decided he only wanted to throw the football around, and did so with another Student. Ms. Albert reported Student did an awesome job of helping this student learn how to throw the football correctly, and was very encouraging and even joked around with her. Student did not mention anything about his knee hurting while he threw the football. 31. With regards to friends and classmates, Ms. Albert reported Student was not being as confrontational as he had been in the past. Student had developed rules about desk space with his desk mate. When working with his project partner, Ms. Albert did not observe any arguing or confrontations. Even though she had seen progress, Ms. Albert noted Student still needed to work on his friendship skills, like dropping an issue once it has been solved, not arguing, and trying to see other people’s viewpoints. 32. As for his homework, Ms. Albert reported, lately Student had been taking everything home that he needed to do his work; however, he was not consistently returning items. Student was doing a much better job of writing down his assignments without prompting. On desk checks, Student required only subtle reminders to put items in their correct binders. In addition, the RSP teacher also checked Student’s reminders and binders. 33. Ms. Albert reported a change in Student’s recent behavior which may have accounted for his declining grades. During the week of October 26-29, Student acted very silly and unfocused. However, on October 30, he had an amazing day. At the beginning of the year, Student had been very concerned about what behavior grade he got, but recently he had not seemed to care. 34. Ms. Albert reported Student was beginning to relax in the classroom. She felt she and Student had reached a mutual respect for each other, and was both honest about how they felt about things in regards to behavior, school work, opinions and activities. 35. Ms. Albert concluded Student had been making huge progress in her classroom. She definitely noted a big difference from when they started to the current date. She felt her working relationship with Student was coming together nicely and he was working hard on his goals. Lastly, Ms. Albert believed, when she had met with Mother at their parent conference on October 20, 2009, they were both on the same page in regards to Student’s progress and what they both saw down the road. 36. On Sunday, November 8, 2009, Parents notified the District by e-mail that they were withdrawing Student from the District, and he was enrolled in Bridges as of November 9, 2009. Specifically, Parents indicated Student had continued to express his persistent unhappiness with regard to his current school setting and his unwillingness to go to school. Parents relied heavily upon the opinion of Dr. McNary which was based upon her observations of Student in and out of school, his continued resistance to going to school, and his perception of his social isolation. Dr. McNary did not believe Student’s placement at Hermosa Valley was meeting his social or intellectual needs with regard to an appropriate education for his disabilities of severe ADHD and Asperger’s. While Dr. McNary testified that she observed Student at Hermosa Valley in fall 2009, her testimony focused on the inhospitable manner in which she was treated by the District, and her inability to observe Student as she wished. Her testimony gleaned nothing more than Student appeared bored during the lesson, and it was clearly overshadowed by her bias created by her ungracious treatment. Little effort was made to follow up or make inquiries about her observations. Further, her findings and opinion of the observation were not shared with the District. Parent’s e-mail also requested the District reimburse Student’s tuition, transportation and related services at Bridges. 37. On December 11, 2009, the District held an IEP meeting to discuss Parents’ concerns about Student’s placement and his removal from the District to Bridges. Parents indicated the program offered him did not meet his exceptional mind and social component demands. Parents requested the District approve and finance Student’s placement in Bridges, which appropriately supported his unique needs as a twice-exceptional child. Parents again stressed they had requested that Student be placed in a classroom with at least one of his friends, which the District did not do. Parents linked this oversight to Student’s current stress and no social connection with the people at school, other than Ms. Albert. In testimony, Mother indicated, that had a friend been placed in class with Student, Parents most likely would not have withdrawn Student from Hermosa Valley. Parents further described Student’s current IEP had turned out to be a mismatched situation where Student was not being challenged. Mother believed the District’s teaching strategies were rigid, and she voiced concern that the District’s program taught to Student’s deficits rather than his strengths. 38. It was explained that Bridges was not a certified non-pubic school, and as a result, the District could not consider placing Student there. Further, the input from Student’s teacher and support staff at Hermosa Valley did not support Parents’ concerns in the school setting. 39. At the IEP meeting, Ms. Albert presented much of the same information she had reported to Mother on November 9, 2009. The IEP notes indicate Ms. Long, Student’s RSP teacher, reported about the progress Student had made in organization. The school psychologist reported Student had made progress from the first day she worked with him. While Student continued to need feedback on how others perceived his actions, he was much more receptive to the feelings and thoughts of other. It was well known Student did not like to be pulled from class, and Ms. Stiles-Beirne reported that Student had been receptive to having his LAS come into the classroom to help him by giving him feedback. Student’s ability to change his tone of voice to show that he understood his peers had improved. Ms. Albert agreed, and indicated this change had also occurred based upon her interactions with Student. Ms. Albert also reported Student had learned to have discussions rather than argue with her, and she saw less intensity in these discussions as the school year progressed. Student’s grades as of November 9, 2009, indicate that Student was earning A’s and B+’s in all classes, with scores ranging from 88 to 95. 40. With regard to Student’s gifted status, the IEP team discussed both skipping a grade and differentiated reading groups. A higher grade level summer school program had been previously tested. Although Student could keep up academically, he did not have the social/emotional skills to compete at the higher grade level. With regard to differentiated reading, Parents reported Student read at the 12th grade level. Student indicated he did not enjoy the differentiated reading program as he was able to read the books in one day, while the group took a month. At Bridges, Student reported he is able to read a book and discuss it within a few days. Student further reported he has never enjoyed school anywhere as much as he likes Bridges. Based upon all information presented at the IEP meeting, the IEP team did not offer Student a change of placement, and Parents requested the District reimburse them for Student’s tuition, transportation and related services at Bridges. The District followed up with a Prior Written Notice regarding Student’s request for reimbursement on January 4, 2010. 41. The District convened an annual IEP meeting on July 22, 2010 to develop an IEP to offer Student a FAPE for the 2010-2011 school year.4 Prior to this meeting, the District conducted assessments and observations of Student at Bridges to assist in developing the IEP. 42. The District completed a psychoeducational assessment of Student, and prepared a written report for the July 22 IEP meeting. Denise Vellutini-Stern, a school psychologist for the District completed the assessment. Ms. Vellutini-Stern presented as a thorough and thoughtful witness. The assessment included background information which remains largely undisputed. A health update indicated Student was healthy, but still receiving medication for his ADHD. Student was given a number of standardized tests and rating scales.5 The assessment also included an observation of Student and teacher reports. 43. Student’s academic achievement was determined through the administration of the WIAT-II, as well as from information shared by Marti Colglazier, the Assistant Director of Student’s programs at Bridges.6 As with Student’s previous cognitive assessments, Student has overall superior cognitive abilities with greater verbal than non-verbal abilities. Student’s cognitive processing is not an area of suspected disability. When considered with Student’s diagnoses of Asperger’s and ADHD, Ms. Vellutini-Stern acknowledged that Student had demonstrated difficulties with executive functioning, cognitive flexibility, emotional adaptability and social skills, including perspective talking, and reading and interpreting nonverbal cues. 4 The IEP was delayed until July 22, 2010, due to Parents revoking consent to the assessments, which was largely due to a lack of cooperation and communication between Bridges and the District. Subsequently, Parents reinstituted their consent and the assessments were completed. 5 The District’s assessment instruments consisted of a Health and Development History Update; Parent Questionnaire; Social/Emotional Functioning Update; Autistic-Like Criteria Questionnaire; Attention Deficit Disorders Evaluation Scale, Third Edition, both home and school versions (ADDES-3); Behavior Assessment System for Children, Second Edition, (BASC-2); Connors’ Parent Rating Scale, Third Edition, long version (CPRS-3:L); Connors’ Teacher Ratings Scale, Third Edition, long version (CTRS-3:L); NEPSY-II; Test of Visual Perception Skills, Third Edition (TVPS); Wechsler Individual Achievement Test, Second Edition (WIAT-II); and the Wide Range Assessment of Memory and Learning, Second Edition (WRAML-2). 6 Parents informed the District that the Wechsler Intelligence Scale for Children, Fourth Edition (WISC-IV) had been administered by Dr. McNary in August/September 2009, and therefore could not validly be administered as part of the current assessment. Dr. McNary’s results from her 2009 testing were not provided to the District. Ms Vellutini-Stern testified that it would have been beneficial to have Dr. McNary’s information to assist in determining the depth of Student’s disabilities. 44. Student demonstrated average to above-average visual perceptual skills, with specific strengths in areas of visual discrimination and visual closure. Weaknesses were noted in the areas of visual memory and visual sequential memory, even though both areas were in the average range. 45. Student demonstrated overall average verbal and visual memory abilities, with scores ranging from above average to below average. Student’s below average scores on Design Recognition and Visual Recognition suggest that Student learned and retained visual information best when a motor component was involved, where the information was presented in the same way as it was initially learned, and when using recall rather than recognition memory to assess those skills learned primarily through visual presentation. 46. Parents completed a rating scale on the ADDES-3 to score Student in the areas of Attention. In the home environment, Parents rated Student in the deficit range on both Inattention and Hyperactivity/Impulse subscales. The Hyperactive/Impulsive subscales were not completed by Bridges personnel for some reason, and therefore could not be scored. The Connor’s rating scales were completed by both Parents and Student’s teachers. The combined ratings suggested a Student profile which confirmed that Student continued to demonstrate an elevated level of concern in the areas of attention, hyperactivity/impulsivity, executive functioning and peer relations. Student’s elevated scores in the area of aggression, including anger and resentment, lying to avoid having to do things, arguments with adults, annoying others on purpose, being selfish and self-centered and losing his temper, were a new area of concern. Student presented with elevated scores in both physical and verbal aggression; however, Student appeared to be more inclined to be verbally aggressive. Ms. Vellutini-Stern considered that this may in part be due to Student’s inability to recognize how his actions, words, and tone of voice are perceived by others. Therefore, some of his behaviors may be due to his lack of social perception rather than a willful disrespect. 48. Ms. Vellutini-Stern assessed Student’s social/emotional and adaptive behaviors with the BASC-2. While there was generally agreement across environments, more intense behaviors were reported in the home than in school. Student’s profile suggested that some emotional symptoms were developing in addition to or perhaps due to his ADHD and Asperger’s. Student’s age may contribute to his display of a more depressed mood and vocalized dissatisfaction with his life in general. Student still did not seem to recognize or reflect these behaviors and did not appreciate the need for change intervention. This made his active participation in counseling to address his mood a very difficult process. However, providing skill-building opportunities to address his social skill deficits might assist in elevating his mood and satisfaction with life in general. Additionally, some “acting out” behaviors seemed to be emerging that were oppositional in nature, and Student needed to develop an understanding that he would be held responsible for his behaviors regardless of the environment. 49. The Autistic-Like Eligibility Criteria ratings scores left no question that Student had Asperger’s, which was evident across the board in all domains. 50. Ms. Colglazier’s input to the assessment is of interest. She reported Student was then currently above grade level in the areas of word recognition, reading comprehension, math computation, using correct capitalization and punctuation, and organizing written material into paragraphs. She indicated Student demonstrated strengths in the areas of completing assignments with minimal prompts, following classroom routines, raising his hand for support, being responsible for materials and supplies, and participating in classroom activities and discussions. On the other hand, she indicated Student’s areas of concern included not following rules and routines, not participating in class, needing constant reminders, and failing to complete his assignments, even when modified. Ms. Colglazier’s view of Student’s strengths were not supported by Ms. Vellutini-Stern’s observations of Student in his classroom, where she noted that Student blurted out many times, and failed to raise his hand to answer or follow directions from the teacher. 52. The District also conducted an OT assessment, and provided a written report for the July 11, 2010 IEP meeting. After assessing in a variety of areas, including fine motor skills, visual perception and visual motor skills, writing, gross motor skills, sensory processing, and sensory modulation and discrimination, it was determined Student did not demonstrate a need for school-based OT in order to access his education. OT is not a disputed area of need for Student. 53. Ms. Stiles-Beirne again assessed in the areas of speech and language for Student for the July 11, 2010 IEP. Ms. Stiles-Beirne indicated the purpose of the assessment was to assess Student’s language and communication skills, to establish his present levels of performance, for the determination of appropriate services and goals in Student’s areas of need. Ms. Stiles-Beirne utilized a variety of assessment tools.8 She also obtained a case history, conducted school and classroom observations, and conducted informal diagnostic tasks. 54. In general, Student’s standardized assessment results indicated his overall receptive and expressive language and pragmatic language skills were average to superior for his age, while providing multiple meanings for words and prosodic interpretations were below average. Ms. Stiles-Beirne noted, however, that Student’s scores on tests involving social, abstract, and figurative language were misleading, and Student required increased time and repetitions to respond appropriately. In the context of real life social interactions, increased time is not available. The non-standardized portions of the assessment revealed that processing and producing appropriate social language was difficult for Student. He cannot always express his thoughts clearly and succinctly. Therefore, in spite of his relatively high scores, Student demonstrated social-pragmatic language deficits and his ability to apply his knowledge of acceptable social skills in the real world was limited. 7 Interestingly, Ms. Colglazier testified at hearing and stated Bridges was neither a special education nor therapeutic school. Rather, Bridges creates an academic environment which teaches to a student’s differences. No testimony was provided to suggest Bridges created its own special education program. As such, it was not explained what special education supports and services were in play, and which goals were being utilized at Bridges in this context. One can only assume they were the goals contained in Student’s June 9, 2009 IEP. 8 The assessments included the Test of Language Development-Intermediate, Fourth Edition (TOLD-I4); Comprehensive Assessment of Spoken Language (CASL); Test of Narrative Language (TNL); Test of Pragmatic Language, Second Edition, (TOPL-2); Prosodic Interpretation subtest from the Differential Screening Test for Processing (DSTP); Conversational Effectiveness Profile-Revised (CEP-R); and Clinical Evaluation of Language Fundamentals, Fourth Edition, Observational Rating Scale (CELF-4 ORS). 55. As a result of these findings, Ms. Stiles-Beirne concluded that Student still experienced challenges with comprehension and production of appropriate social-pragmatic language, which impeded effective communication. Student presented with (1) difficulties with non-verbal language, proxemics, and prosody; (2) a lack of central coherence; focusing on details and missing the big picture; (3) poor application of executive functioning skills leading to cognitive inflexibility; (4) inability to learn from previous experiences or apply theoretical social-pragmatical skills in the context of real-life situations; (5) lack of awareness of cause and effect relative to his own actions; (6) difficulty regulating emotions; and (7) problems forming and maintaining friendships with peers due to all of the above. 56. Ms. Stiles-Beirne concluded, among other things, Student would benefit from school-based LAS therapy to improve his knowledge and application of pragmatic language skills. Whenever possible, Student should be paired with a classmate who models appropriate social communication skills. Student would benefit from frequent opportunities to interact with non-disabled peers in natural settings, and would benefit from social skills supports. He would benefit from being provided with a consistent schedule and structured tasks with clear starting and ending points. Adults should provide Student with explicit instructions, clear expectations, and consistent responses to eliminate or reduce arguing. Student should be taught the principals of active listening and should be encouraged to use them during interactive lessons in the classroom. Ms. Stiles-Beirne’s observations of Student at Bridges comported with her conclusions. Much to-do was raised about the amount of time District members spent assessing and observing Student; however, Ms Stiles-Beirne’s lengthy access to Student provided the District with a more detailed picture of Student’s PLOP, than would subsequently be allowed by Bridges. Ms. Stiles-Beirne’s conclusions were not assailed by Student, and reflected the findings of Student’s prior assessments, as well as the then current parental observations and concerns. 57. Mother agreed the District’s psychoeducational assessment was generally accurate. Though Student had made significant progress in social/emotional behavior, he still had deficits due to autism and ADHD, which would never be cured. On the other hand, Mother disagreed with some of the recommendations. Specifically, Mother disagreed with the conclusions Bridges was not helping Student and Student needed to be around more neurotypical peers. Mother felt Student had developed improved communication skills, and had made friends rapidly at Bridges. He was able to participate in reciprocal conversations with the other kids. Mother also took issue with the recommendations Student should be stopped when he perseverates, and there should be (negative) consequences for his actions. Instead, Student responds far better to positive reinforcement. 58. Deborah Budding testified on behalf of Student. Dr. Budding holds a Ph.D. in clinical psychology and is a licensed clinical psychologist, who specializes in assessments. She is also a Board Certified neuropsychologist, who studies neurologically based brain disorders, such as ADHD and autism. Dr. Budding is highly qualified in her field, and was highly informative in her testimony. Dr. Budding completed a neuropsychological assessment of Student in May 2010, to clarify his neurocognitive and emotional contributions to his reported difficulties, and to assist with treatment and educational planning. Dr. Budding described a neuropsychological assessment as more inquisitive than a psychoeducational assessment. Whereas a psychoeducational assessment is geared toward determining where a child scores in relation to the average, a neuropsychological assessment is more concerned with why or how a child obtains the scores. Further, in studying a child’s underlying functions, no score in isolation is particularly meaningful. One needs to discover the meaningful pattern between scores. Unfortunately, neither she nor Parents provided a copy of her assessment report to the District on or before the July 22, 2010 IEP meeting or at any time thereafter. Further, although Dr. Budding attended the July IEP meeting, she acknowledged in her testimony that she listened but did not speak or otherwise participate in discussions at the IEP meeting. Thusly, a wealth of relevant information was withheld from the District when drafting the proposed IEP. 59. Student’s annual IEP meeting took place on July 22, 2010. Although all statutorily required parties attended the IEP, no teachers or other representatives from Bridges were invited to attend the IEP. Parents attended the IEP meeting with both their advocate and Dr. Budding, and had been presented with a copy of the District’s assessments prior to the IEP meeting. The IEP team met for five hours. 60. As stated above, there was little disagreement regarding the accuracy of the District’s assessments or the IEP team’s determination of Student’s PLOP. There was no disagreement Student was very bright. The District acknowledged that Student’s composite academic score of 131, fell in the Very Superior range. The parties agreed Student could explain the correct thing to do, but did not know how to apply it. The IEP team created the following goals: (1) a goal in the area of Attention/Nonverbal Language and Compliance which addressed Student’s difficulty following visual cues, and demonstrating active, wholebody listening; (2) a goal addressing Student’s difficulty with self-regulation, which was developed at the IEP meeting based upon parental input; (3) a goal addressing Student’s difficulty recognizing how his peers feel and think, and how Student responds to verbal interactions; (4) two goals addressing Student’s social-pragmatics difficulties; (5) a goal addressing Student’s organization skills and self-management; (6) a planning goal. The IEP also contained a Behavior Support Plan which addressed Student’s difficulty focusing on non-preferred activities; his inability to stay organized; and his difficulties with following directions, rigid thinking, lack of compliance, arguing with others, and self-regulation. To support these goals, the District offered SAI consultation in the classroom for 30 minutes per week; group LAS in the classroom, for 30 minutes, three times per month; individual pullout LAS for 30 minutes, twice a month; counseling and guidance for 30 minutes a week; and group counseling and guidance for 30 minutes per week. 61. The IEP team also developed 22 accommodations for Student, including, (1) allowing Student to get up and move, and leave the classroom to get fresh air; (2) allowing Student to demonstrate standards based upon mastery in an alternate means, such as using power point or art projects; (3) breaking long tests into segments, and providing Student with immediate feedback to check his work for impulsive mistakes; (4) allowing Student to retake tests if his score does not reflect his knowledge based upon past performance; and (5) allowing Student access to the library as well as the supervised activity room during lunch. 62. Parents’ dissatisfaction with the IEP centered on placement. The District offered Student placement in a general education classroom. Parents preferred a setting similar to Bridges, which would provide a small environment and social skills in that milieu. Parents believed Student had functioned well at Bridges without having homework, and Student finally enjoyed school. 63. The IEP team discussed whether or not a placement in a non-public school (NPS) would be appropriate for Student. Parents, however, had not found a NPS which they felt would be appropriate for Student. The IEP team offered to consider an accelerated program for Student, in which Student could “test” into a seventh grade Math class, and most likely into seventh grade science and language arts as well. Parents were skeptical Student was up to the social expectations involved in moving a grade ahead. Nonetheless, Mother visited the three sixth grade classrooms at Hermosa Valley, accompanied by Dr. Budding. Mother recalled one class was for slower students and one class was for brighter students with higher executive functioning skills than Student possessed. Mother expressed additional concerns. There were no aides in the class with the brighter students. Student would be limited in having electives which would interest him, i.e., he could have either art or media tech, but not both. Student would be dealing with more teachers, and class periods. The sixth grade program at Hermosa Valley would include P.E., and Mother had a wellfounded concern Student’s lack of social skills would make him a target for bullying in that arena. More importantly, Student’s fifth grade class at Bridges had already encompassed the sixth grade curriculum at Hermosa Valley. 64. Dr. Budding endorsed Mother’s opinions. Skipping a grade in some areas was not appropriate for Student, as the other pupils were perceived as more advanced in their social maturity. Additionally, the “pull-out” required for these classes would compound as Student had difficulty with transitions, and Student balks at being required to do things which make him stand out from his peers.9 Dr. Budding also acknowledged she was not an expert in special education and had never observed Student in a regular education setting. She did not know how Student had performed in a regular classroom, nor would she form an opinion as to whether Student could learn in that venue. 65. Ultimately, the IEP team reaffirmed its offer of placement in the regular sixth grade class, with placement in seventh grade classes, if “tested in.” As expressed by Ms. Vellutini-Stern, there was no reason Student could not be educated in a general education setting. Further, it would be beneficial to give Student peer practice with social skills. 66. Parent’s did not consent to the July 22, 2010 IEP, and notified the District that Student would remain at Bridges, and they were requesting reimbursement for Student’s tuition, transportation, and services for the 2010-2011 school year. The District provided Parents with timely Prior Written Notice rejecting their request for reimbursement. 9 Ironically, the differentiated curriculum at Bridges had no more room to expand to within grade level to meet Student’s need. As a result, Parents allowed Student to skip sixth grade at Bridges, in order to obtain a more enriched curriculum. 67. Student was again assessed in anticipation of his annual IEP which took place on May 31, 2011. Ms. Vellutini-Stern once again administered the assessments and prepared the written report, dated May 27, 2011. Ms. Vellutini-Stern again utilized a variety of assessment tools,10 conducted a records review, observed Student during the assessment, and obtained teacher reports and information from Parents. 68. As usual, Student’s cognitive abilities were not in question, and Student continued to present in the high average to very superior range. Parents and Bridges’ teachers were provided the Connors rating scales, and there was general agreement across raters and environments. Their scores were rated Very Elevated in areas of Inattention, Hyperactivity/Impulsivity, and Peer Relations. Additionally, Student’s executive functioning, and the Oppositional Defiant Disorder (ODD) index, was identified, both at home and at school, as area of concern. Most of these areas are considered common characteristics to children with ADHD and/or autism. 69. The results drawn from the BASC-2 from parents and teacher also presented general agreement. The scores indicated an elevated concern over Hyperactivity, Depression, and Withdrawal. As defined by the BASC-2, hyperactivity is the tendency to be overly active, rush through work or activities, and act without thinking. Depression is defined as feelings of unhappiness, sadness, and stress that may result in an inability to carry out everyday activities or may bring on thoughts of suicide. Withdrawal is defined as the tendency to evade others to avoid social contact. All three of these areas are indicative of Asperger’s and ADHD. 70. While the GARS-2 scores indicated Student did not demonstrate behaviors commonly associated with an autism spectrum disorder, his scores on other assessments, observations, and interactions, indicated Student continued to demonstrate behaviors associated with an autism spectrum disorder, but of a less overt nature. These behaviors were particularly demonstrated in the areas of peer relations, ODD, withdrawal, cognitive inflexibility, and perspective. 71. Student’s scores on the WJ-III suggested Student was academically performing at or above grade level in all core academic areas (seventh grade, as Student skipped sixth grade). Student’s Humanities teacher reported Student was at grade level in the areas of word recognition, reading comprehension, using correct punctuation and capitalization, and organizing written materials. She also reported Student completed assignments with minimal prompts, completed homework, followed classroom routine, and participated in class activities. Other teachers reported Student was at grade level in the areas of math computation and math application. It was reported Student participated in class activities and discussions, and it was further noted that Student brought creativity to projects, did well with computations, and showed good application of math skills. Although Student was showing improvement, his teachers reported he still needed prompting and reminders to follow routines and rules; he needed to inhibit interruptions, and remain in class. They also believed Student continued to demonstrate a disability which required special education services. 10 Ms. Vellutini-Stern utilized the ADDES-3, BASC-2, CPRS-3:L, CTRS-3:L; Gilliam Autism Rating Scale, Second Edition (GARS-2), and the WJ-III. 72. The written information provided by Student’s teachers at Bridges identified the following areas to be addressed in Student’s IEP meeting: (1) understanding social cues and respecting boundaries; and (2) organizing and accepting responsibility for belongings. 73. Andrea Horowitz, a District SLP conducted Student’s Speech and Language assessment, and prepared a written report dated May 27, 2011, which was considered as part of the psychoeductional assessment.11 Test results indicated Student’s articulation, voice and fluency were within the normal range, as was his expressive and receptive language skills. While Student’s pragmatic skills were scored in the average range, a caveat was issued, based upon observations and other information which indicated that Student still had difficulties with cognitive flexibility, perspective, appropriate responses in social situations, and interpreting social and nonverbal cues. As a result, Ms. Horowitz concluded Student still had need of LAS assistance with pragmatics. 74. Ms. Horowitz was the only District staff member allowed to observe Student at Bridges in preparation for the May 31, 2011 IEP meeting, and only for a short period. Before school, Student sat outside with his peers, although most of his same aged peers were in the sixth grade, not seventh grade. While he interacted with other students, he did not give them his full attention, and was distracted with his own activity on his computer. He did not follow appropriate social cues, and interrupted an adult conversation. He required nonverbal cues from staff members to go the classroom when the bell rang, and to take out his class materials to work on an assignment. Intermittently, Student wandered around the class, demonstrating some difficulty sitting still and focusing on the task. Although easily distracted by his environment, Student worked hard when focused on the task at hand. 75. Not surprisingly, Student’s assessment results were comparable to his prior assessments, and confirmed what all parties already knew. It was noted, although progress had been made, Student had continuing needs in the same areas as before. Ms. Vellutini-Stern recommended Student may benefit from school-based counseling to build skills in the areas of social interaction and perspective, as well as to support his emotional stability. She recommended Student may benefit from having refocusing cues established in all of his classes to assist with sustaining attention. She also indicated Student may benefit from having a planner to record and track his assignments, tests and projects. She further indicated Student may benefit from being responsible for his own belongings to encourage independent living skills. 11 Ms. Horowitz administered the TOPS-2, Adolescent and the CELF-4, and obtained informal speech and language samples. 76. On May 31, 2011, the District held the IEP meeting to prepare Student’s IEP for the 2011-2012 school year. All legally required parties attended the IEP meeting, but again, Student’s teachers or representatives from Bridges did not attend the IEP meeting. Student also attended the IEP meeting. Parental concerns were reported as keeping Student academically and intellectually challenged while supporting his needs in the areas of ADHD, executive functioning, social functioning, organization, time management, difficulty with writing long assignments, working memory and slow processing speed, theory of mind, perspective talking, conflict resolution, and tone, volume and pitch of speech. According to the IEP notes, Parents agreed their concerns remained the same as expressed in the 2010 IEP. 77. Julie Taylor attended the May 31, 2011 IEP meeting, and her testimony presented the most informative details regarding the District’s perspective of that meeting. Ms. Taylor described the IEP meeting as collaborative with Parents. 78. The IEP team discussed the District’s assessment reports, and there was no indication of disagreement regarding their findings. Academics did not present an area of need, and it was reported through written information received from Bridges, that Student was making progress at Bridges, and he had moved up to the seventh grade. The IEP notes reflect the Bridges teachers reported continuing areas of concern with organization, respect for boundaries, planning, perspective taking, and executive functioning. At Bridges, these concerns were addressed in their embedded program. Student indicated his behavior was better in some areas while he was at Hermosa Valley. At Bridges, the norm is different and his problems are not as pronounced. 79. Many of the proposed goals were similar to the ones offered in the 2010 IEP, as Student’s needs remained similar if not the same. New goals, however, were proposed, discussed, and re-worked as needed. As example, an RSP goal was developed based upon information presented by Parents and the teachers at Bridges, which addressed Student’s difficulties with organization and the need to make him responsible for his own belongings. Another RSP goal was created to address Student’s need for planning and keeping track of his assignments and tests dates. A behavior goal was created to address Student’s difficulties with self-regulation and arguing with others. A social skills goal was created to address Student’s difficulty respecting boundaries and responding with argument or disregard. A LAS goal was created to address Student’s deficits with pragmatics. To support these goals, the IEP team offered SAI in a group RSP setting once a week; pull-out group LAS for 30 minutes, four times per month; LAS consultation for 30 minutes per week in the classroom; individual counseling and guidance 30 minutes per week; and group counseling and guidance 30 minutes per week in the regular classroom. The IEP team, with the collaboration of Parents, created 23 accommodations to assist Student in the general education classroom. Many of these accommodations were intended to create supports which were considered beneficial to Student at Bridges. These included, (1) short breaks, and allowing Student to move around in the classroom; (2) sensory strategies, including fidgets, when appropriate; (3) allowing Student to demonstrate mastery of subjects by alternate means, including taking tests orally; (4) using his cell phone to take pictures of the homework board; (4) access to a separate study to decompress; (5) providing Student flexible access to the RSP room in test situations; and (6) providing Student up to double the time given to general education students for test taking. 80. The IEP team offered Student placement in the general education classroom. It is noted the District does not have an accelerated or advanced placement program for students. To accommodate Student’s academically advanced status, the District offered a differentiated program which would allow Student to study on different grade levels.12 As example, it was anticipated that Student would qualify for eighth grade language arts and social studies, yet Student would take seventh grade life science, as he had already completed the eighth grade science curriculum. Student’s math placement would be determined by a placement test for eighth grade math. 81. Additionally, the District offered Student what is known as “Zero Period,” a before school service available to all students for tutoring and assistance with organization. The IEP team discussed allowing Student to take P.E. as an independent study to allow him to take an elective class, such as art. In order to provide Student with additional academic stimuli and support his desire to develop friendships, the IEP team suggested participation in the Science Olympiad and the Builder’s Club. Ms. Taylor was very excited about the educational program the IEP team developed for Student. She felt that the collaboration of all the parties present had resulted in the crafting a creative program for Student. The IEP represented a nice balance. Student’s academics could be advanced, rigorous and innovative, yet could still provide Student with appropriate supports. Student would be taught at or above State standards, and could have other activities which would cater to his interests and allow him to practice his social skills. 82. Parents, however, did not consent to Student’s placement at Hermosa Valley, and added their explanation for rejecting the IEP to the signature page of the IEP. In their statement, Parents considered the general education placement and services to be insufficient to meet Student’s needs. “Due to his high cognitive ability, coupled with the behavioral and social impairments secondary to autism and ADHD, the placement will not meet Student’s complex needs. Student requires an educational program which includes placement in a highly enriched and structured academic environment with teachers and staff who are specifically trained to meet his unique needs which were, in part, identified by the District and elaborated by private assessors.” As indicated at the IEP meeting, Parents continued to conclude that Student’s needs could only be met at Bridges. The statement concluded with Parents renewed request for reimbursement for Bridges, transportation and services for the 2009-2010, 2010-2011, and 2011-2012 school years. The District again responded in a timely fashion with a Prior Written Notice rejecting Parent’s requests for reimbursement. 12 Differentiated Instruction describes an educational approach for teaching gifted students. It is an approach made up of many different strategies and is not synonymous with accelerated learning or individualized instruction. It does not require a teacher to create a separate lesson plan for each student, but rather it provides for student choices within a lesson. 83. Marcy Dann, an educational therapist at Bridges, is clearly experienced with twice-exceptional students. In fact, admission to Bridges requires a student be both gifted and have areas of disability. Although all are gifted in some manner, Student’s gifted areas, as well as their disabilities, vary. As a result, there is no typical student at Bridges. The educational model at Bridges looks at cognitive ability first, and then at the family’s context to determine “where the student is coming from;” what is happening in the student’s other environments that impact him or her. Bridges is a strength-based program which looks for the student’s areas of high interest and creativity. Bridges has a small student to teacher ratio, and the pupils can advance at their own speed. The school also considers a student’s environmental and sensory stimulation sensitivities. Bridges utilizes a full time school psychologist on campus, and infuses social skills in the classroom throughout the day. Bridges’ curriculum follows State standards and it is accredited by the state of California. Bridges, however, is not a certified non-public school, which is required by California law in order for a local educational agency to fund placement. 84. Ms. Dann described Student’s unique needs similarly to the descriptions presented in all of Student’s assessments and prior IEP’s. She expressed a difference, however, in interpreting Student’s behaviors and needs. As example, Ms. Dann did not define Student as noncompliant. Rather, Student’s difficulties with executive skills caused Student’s resistance, and therefore, Student has a need to be redirected. 85. Although both Ms. Dann, and her Bridges associate, Ms. Colglazier, believe Bridges is an appropriate placement for Student, neither of them has observed Student in a regular education setting; neither has reviewed any of Student’s IEP’s at issue; and neither of them have an opinion as to whether the District’s IEP’s offer Student a FAPE, [nor should they be expected to offer one.] Bridges is not a special education school and does not prepare or utilize IEP’s in educating students. Simply put, Ms. Dann and Ms. Colglazier modestly reported Student fits their school’s requirements, and has responded well to their educational program. 86. Dr. McNary expressed great enthusiasm for Bridges. Dr. McNary observed Student at Bridges in 2009, and described Student’s educational environment there in detail. Clearly, she found the Bridges placement a better fit for Student. While Dr. McNary’s psychological assessment of Student in 2007 is solid, and her foundational information describing Student’s unique needs remain accurate to this day, her testimony regarding Student’s placement is not without concern. Dr. McNary presented with little insight to the educational requirements of the IDEA or its application to twice-exceptional students. Surprisingly, she does not attend IEP meetings. Dr. McNary did not review the District’s assessments, and was not familiar with Student’s IEP’s. She did not look at his goals, or his PLOP’s in recommending to Parents that a general education placement was inappropriate for Student. Dr. McNary did not have an opinion as to whether the offers made in the IEP’s constituted a FAPE. 87. Dr. Budding was also questioned regarding Student’s IEP’s. She is not an expert in special education, however; she did make some valid points for consideration. First, she acknowledged that giftedness is not a disability. However, in understanding the complexity of Student’s areas of need, one should look at them through the lens of giftedness. As example, as a gifted child, Student may appear argumentative and question authority, because he will ask why he is being asked to do things, especially when he perceives it will make him stand out from his peers. A gifted child who has difficulties with generalization and learning from mistakes may equate corrections with personal criticism or with being a bad person, rather than accept the correction as a learning moment. This, in turn, can lead to stress and additional misunderstanding. 88. The District offered Dr. Bryna Siegel as their expert witness. Dr. Siegel has a Ph.D. in child development,13 and taught gifted and special education children earlier in her career. She offered insights into the subjects of autism and ADHD. In essence, it is not uncommon to find autism overlapped with other psychopathologies, such as ADHD or ODD. ADHD is often co-morbid with Asperger’s, but the qualities which cause inattention in autism, may not really be ADHD. As example, an ADHD child is impulsive, while an Asperger’s child lacks theory of mind. While an ADHD child may fail to do homework due to lack of skills, a high functioning or gifted Asperger’s child won’t do homework because he considers it stupid. 89. Dr. Siegel reviewed all of Student’s assessments which had been presented to the District, and reviewed all of Student’s IEP’s. She also observed Student at Bridges, but was not allowed to ask questions. Suffice it to say, Dr. Siegel described Student’s classroom at Bridges as the “weirdest middle-school classroom” she had ever been in. While she could understand why Parents selected Bridges for Student, she opined there was nothing in Student’s records, assessments or IEP’s which suggested that Student could not be educated in a public school, general education classroom. She emphasized, in the fifth grade, Student was making progress in the public setting, and had been functioning in the general education setting with typical peers, and without an aide. There was no evidence to suggest that he could not obtain educational benefit in the Hermosa Valley classroom. Dr. Siegel is correct. 13 Dr. Siegel’s 33 page Curriculum Vitae speaks to her qualifications as an expert in the area of the autism disorder spectrum. 14. In a special education administrative proceeding, the party seeking relief has the burden of proof. (Schaffer v. Weast (2005) 546 U.S. 49 [126 S.Ct. 528, 163 L.Ed.2d 387] (Schaffer).) Here, Student has brought the complaint and has the burden of proof. Issue One: Has the District denied Student a FAPE for the 2009-2010 school year by failing to develop for implementation an IEP which addresses Student’s unique needs? 15. During both the direct and cross examination of witnesses in this due process hearing, the ALJ questioned the relevance of evidence and the need to decide Issue One, based upon the fact that the IEP which controlled Student’s 2009-2010 school year was developed on June 9, 2009, and was outside the two year statute of limitations. Oddly, neither party appropriately addressed this problem in hearing or in their respective closing briefs. Nonetheless, the District did not provide a waiver of the statute of limitations, and Student failed allege or argue any of the statutory exceptions to the statute of limitations. 16. Both federal and state law contains a two year statute of limitations for special education administrative actions. (20 U.S.C. § 1415(b)(6)(B); 34 C.F.R. § 300.507(a)(2) (2006); Ed. Code, § 56505, subd. (l).) The state statute provides as follows: “A request for due process hearing arising under subdivision (a) of Section 56501 shall be filed within two years from the date the party initiating the request knew or had reason to know of the facts underlying the basis of the request. In accordance with Section 1415(f)(3)(D) of Title 20 of the United States Code, the time period specified in this subdivision does not apply to a parent if the parent was prevented from requesting the due process hearing due to either of the following (1) Specific misrepresentations by the local educational agency that it had solved the problem forming the basis of the due process hearing request; (2) The withholding of information by the local educational agency that was required under this part to be provided to the parent.” (Ed. Code, § 56505, subd. (l).) As a result, the statute of limitations operates to bar claims based upon facts outside of the two year period. (J.W. v. Fresno Unified School Dist. (9th Cir. 2010) 626 F.3d 431, 444-445; Breanne C. v. Southern York County School Dist. (M.D. Pa. 2009) 665 F.Supp.2d 504, 511-512; E.J. v. San Carlos Elementary School Dist. (N.D.Cal. 2011) 803 F.Supp.2d 1024, 1026, fn. 1.) Here, Student’s IEP team made their offer of FAPE for the 2009-2010 school year at the June 9, 2009 meeting. (Factual Findings 15 and 16.) Parents knew or had reason to know of their dispute with the substance of the June 2009 IEP as of that date. 19. Student’s primary contention in both Issues Two and Three is that the District failed to develop IEP’s for Student which addressed his “unique need of twice exceptionality.” In both issues, Student argued that while the District acknowledged Student’s disabilities, it never grasped the nature of his unique needs resulting from being twice exceptional. As a result, there were a number of areas related to Student’s education for which the District did not provide an appropriate program. Student’s argument regarding twice exceptional children is unpersuasive. There is no dispute that Student has gifted cognitive abilities. (Factual Findings 6, 26, 40, 43, 54, 60, 68, 71, and 83.) There is also no dispute that Student qualifies for special education under the categories of autism and OHI/ADHD. (Factual Findings 4, 6 -9, 13, 48, 49, and 57.) In assessment after assessment, Student’s areas of unique needs have been accurately identified with no major discrepancies between the findings of the District and those of Student’s private assessors. (Factual Findings 6-11, 42-49, 54-57, 60, 68-73, 75, 84, and 86.) The area of disagreement lies in the depth of the obligation the District has to a gifted Student in relation to his special education needs. 20. Student’s arguments attempt to apply California Education Code sections 52201 and 52202 to establish a mandatory obligation to gifted students. Student’s analogy, however, bears no relation to the IDEA or California special education law. The sections cited by Student refer to regulations regarding “Gifted and Talented Pupil Programs” in a general education context. While the State may encourage such a program, it remains optional for school districts. California neither requires a school district to identify gifted students nor provide them with advanced educational programs. In the case at hand, the District has opted not to create a gifted program for any student. Instead, the District provides differentiated classes which are accessible by individual testing in specific subjects. 21. In reality, the IDEA is silent regarding “twice exceptional” or “gifted” students. (Letter to Anonymous, 55 IDELR 172 (OSEP January 13, 2010).) An intellectually gifted student is not considered disabled under the IDEA, and is therefore a student is not eligible for special education and services solely on that basis. (Roane County Sch. Sys. v. Ned A., 22 IDELR 574 (E.D. Tenn. 1995).) On the other hand, a gifted student who needs special education because of an independent qualifying disabling condition retains his rights under the IDEA, even if he is classified as intellectually gifted under state law. (Board of Ed. of the City of New York, 28 IDELR 1093 (SEA NY 1998).) As a result, the existing case law relates to twice-exceptionality as it applies to a gifted child’s eligibility for special education. Student has presented no authority to suggest special education law has been expanded to create a separate classification for twice-exceptionality or the law has even identified twiceexceptionality as a unique need. In this matter, although the parties spent a great deal of time and testimony on Student’s twice exceptional status, Student’s eligibility for special education and services is not at issue. 22. Once a twice-exceptional student is found eligible for special education, the IEP for the student is created in the same manner as other IEP’s, and is driven around the needs of the student, the determination of areas in which the student needs special instruction, and determination of accommodations the student needs to access the curriculum in the least restrictive environment. It is not the student’s giftedness which drives the IEP, it is his disability. Issue Two: Has the District denied Student a FAPE for the 2010-2011 school year by failing to develop for implementation an IEP which addressed Student’s unique needs? 29. The July 2010 IEP also satisfied the preference in the law that a school district place a disabled child in the least restrictive environment. (Legal Conclusion 13.) Student did not place much emphasis on the LRE in this case, but rather, focused on Parent’s desired placement at Bridges, a venue which totally excludes neurotypical peers. Bridges, as a private school, however, plays no part in the determination of LRE. 30. When determining whether a placement is the least restrictive environment for a child with a disability, four factors must be evaluated and balanced: (1) the educational benefits of full-time placement in a regular classroom; (2) the non-academic benefits of fulltime placement in a regular classroom; (3) the effects the presence of the child with a disability has on the teacher and children in a regular classroom; and (4) the cost of placing the child with a disability full-time in a regular classroom. (Ms. S. v. Vashon Island School Dist. (9th Cir. 2003) 337 F.3d 1115, 1136-1137; Sacramento City Unified School Dist. v. Rachel H. (9th Cir. 1994) 14 F.3d 1398, 1404 (Holland).) These considerations are discussed separately below. 31. It is noted that Student has never been placed in any setting other than a regular classroom. Student attended a regular education classroom for his kindergarten through third grade years. (Factual Findings 1-3.) Student completed the fourth grade in a regular education classroom at Hermosa Valley. (Factual Finding 16.) Parents consented to Student’s fifth grade placements in a regular classroom at Hermosa Valley, where he attended until removed and placed at Bridges. (Factual Findings 20 and 36). Further, Bridges is not a special education school or special education provider, and its curriculum follows State standards. (Factual Findings 83 and 85.). In determining the continuum of placements, there is no dispute; academically, Student did not require a special day class or a more restrictive environment. The IEP team discussed the appropriateness of a RSP to assist Student with his executive functioning and organization. 32. Student contends placement in the regular classroom did not adequately address his giftedness. Mother expressed concern that Student’s regular classroom placement no longer met his intellectual needs. (Factual Finding 30.) Mother surmised a decline in the quality of Student’s work resulted from Student being bored with the academic level of his class. Academically, Student was not being sufficiently challenged. (Factual Finding 37.) In essence, this is an indictment indicating a general education classroom could not meet Student’s educational needs, regardless of whether he qualified for special education or not. As indicated above, the District chose not to participate in a Gifted and Talented Pupil Program, as is within its legal discretion. (Legal Conclusion 20.) It is noted, although Student is gifted, he was not the top academically performing student in his class, but was only one of several gifted students. (Factual Findings 18, 26, and 63.) All nondisabled students participate in the District’s general education program, subject to accelerating into advanced classes or skipping a grade, if appropriate. Parents rejected these ideas as inappropriate, considering Student to be too immature; yet they subsequently acquiesced to Student’s skipping a grade at Bridges for 2010-2011. (Factual Finding 63.) Further, neither the IDEA nor California law requires a school district to create an academic program for twice-exceptional students in excess of what is provided to the general education population or non-disabled peers. (Legal Conclusions 20 and 21.) As a result, the program offered by the District met Student’s academic needs. 35. Lastly, Dr. Siegel, who is an expert on both autism and ADHD, opined there was no evidence to suggest that Student could not be educated in a regular, public school classroom. (Factual Finding 89. )14 In conclusion, when weighing the benefit of placement in the LRE, it is clear that Student has always been educated in the regular classroom; his unique needs, goals and services can be addressed in the regular classroom; and he will receive direct benefit from interaction with his typical peers in the general education environment. Further, Parents’ preference for placement at Bridges does not negate the IEP team’s offer of placement in the general education setting. The District’s offer of placement and services as contained in the July 22, 2010 IEP, constitutes a FAPE for the 2010-2011 school year. Issue Three: Has the District denied Student a FAPE for the 2011-2012 school year by failing to develop for implementation an IEP which addressed Student’s unique needs? 36. The May 31, 2011 IEP, was also appropriate because it was reasonably calculated to provide Student with educational benefit. (Legal Conclusions 4 and 12.) Again, the reasonable calculation appears in the connection between the information concerning Student and the program proposed in the IEP. 14 The cost of placing Student in the regular public school classroom was not at issue, nor is the cost of Student’s preferred placement at Bridges. 37. Student was once again assessed in anticipation of the May 2011 IEP meeting. To no one’s surprise, there was no question of Student’s cognitive abilities, and Student continued to present in the high average to very superior range. The assessments administered by the District were not in question, and the assessors reported Student’s average range scores with the caveat based upon observations. (Factual Finding 73.) The District obtained information from Student’s records, observations, and information from both Parents and Student’s teachers at Bridges. (Factual Findings 67-71.) The staff at Bridges provided written information identifying Student’s areas of need in social/emotional and organizational areas. (Factual Finding 72.) Student continued to present with deficits in cognitive flexibility, perspective, social skills, sustaining attention, planning and executive functioning. (Factual Findings 73, 76, and 78.) Parents did not voice any disagreement with the determination of Student’s unique needs. 38. The District created the May 2011 IEP in compliance with the requirements of Legal Conclusion 8. As noted above Student’s unique needs had changed little, and the proposed goals were similar to previous year’s. New goals were added or reworked based upon input from Parents and the staff at Bridges. (Factual Finding 79.) The IEP team created a RSP goal in response to Bridges input regarding Student’s organization and need for personal responsibility. Another RSP goal addressed Student’s need for planning. A behavior goal was created to address self-regulation. Additional goals were created to address social skills and pragmatics. Further, 23 accommodations were adopted to support Student in the regular classroom, many of which were considered beneficial to Student at Bridges. (Factual Finding 79.) The provisions of the IEP directly comported to Student’s unique needs, and each component could be met in the regular classroom environment. 41. As stated by Ms. Taylor, the educational program developed in the May 2011 IEP was collaborative between all parties, including Parents. The IEP resulted in a creative, yet balanced program for Student. Student’s academics could be advanced, rigorous and innovative, yet he would still be provided with appropriate supports. Student would be taught at or above State standards, and could have other activities which would cater to his interests, while allowing him to practice his social skills. (Factual Finding 81.) The District’s offer of placement and services as contained in the May 31, 2011 IEP, constitutes a FAPE for the 2011-2012 school year. 42. As Student has not been denied a FAPE for the 2010-2011 and 2011-2012 school years, the issue of parental reimbursement for placement of Student at Bridges Academy is moot. Each of Student’s claims for relief is denied.